Our Smart Zero Range is inspired by our Danish distributor and is formulated using the highest quality ingredients. 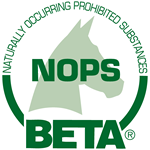 It supports horses and ponies with (or at risk of) metabolic or endocrinal conditions, and those at risk from gastric ulcers, or horses requiring a high fibre, low sugar and starch formulation. As the name would suggest, our Smart Zero feeds contain Zero molasses and Zero whole cereals to help achieve this aim. The range has been completed with Smart Zero Lite. This is a low-calorie option for horses and ponies that are prone to laminitis, or those that need a low-calorie feed for maintenance and light work. It is also ideal to help horses lose weight as part of a wider management program to support weight loss and decrease the risk of reduced insulin sensitivity. New Zero Lite joins the existing Smart Zero range which is chosen by riders looking for quality feeds with the higher levels of energy required for work, performance and condition, with minimal starch and sugar. All the feeds in the Zero range are fully balanced with vitamins, Zinpro® minerals and antioxidants. Omega 3 fatty acids are provided with the inclusion of linseed, while XP yeast metabolites support and promote beneficial bacteria and enhanced fibre digestion. Finally, Smart Zero has added fenugreek, for a tasty flavour that your horse will love. 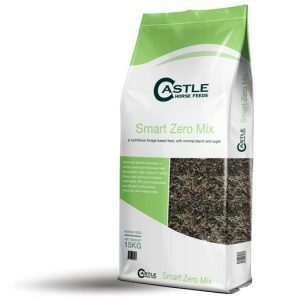 Castle Smart Zero feeds are extremely versatile and provide a healthier option for all horses and ponies, including leisure horses, the sport horse, veterans and those at risk of metabolic disorders.